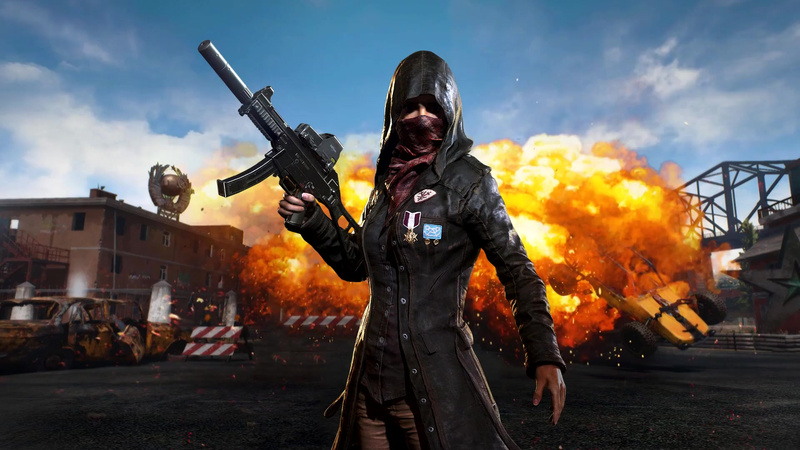 After much speculation, PlayerUnknown’s Battlegrounds has been rated for release on the PlayStation 4 in Korea, potentially ending a long wait for the Battle Royale game on Sony’s system. Bluehole has been open about bringing the blockbuster to the PS4 for some time now, but an exclusivity deal with Microsoft has kept it out of PlayStation players’ hands. However, after a PS4 was spotted in the studio’s office, it now looks like a port is imminent. While there’s been no official confirmation, the ratings that come out of Korea are almost always real, so we’re just waiting for an announcement at this point. We obviously don’t know the nature of the Xbox One’s exclusivity, but we wouldn’t be surprised to see this launch in December, around about a year after its original launch on the aforementioned device. Of course, the bigger question is whether PUBG will actually be able to find an audience on Sony’s system, with the likes of Fortnite and the upcoming Call of Duty: Black Ops 4 likely to be well established on the PS4 by the time that it arrives. We’re sure that it’ll still sell, but it’s hard not to feel that the shooter’s missed its window. Think there exclusivity deal has hurt them badly needed to strike when the iron was hot. In my opinion the exclusivity deal made Fortnite the power house it is today. Yeah, I think the exclusivity deal really killed them here. It'll still sell okay, but it would have been huge on PS4 this time last year. Funnily enough, I think Tomb Raider was really hindered by timed exclusivity too. Sometimes it works out, sometimes it doesn't. I agree that even though it might make them money, it will be a pittance compared to what they could have made last year before Fortnite ran away with the Battle Royale supremacy. "Waiter, this chicken dinner has gone cold"
The thing is Sony doesn’t allow game previews on their system and PUBG has only just officially fully released just over 2 weeks ago, so really it couldn’t of released on PS4 when it came out on Xbox One last year anyway, which has me thinking, why was there an exclusivity deal between Bluehole and MS in the first place? @MaccaMUFC as in Early Access games have you see the crap that Sony have put out on the store that are basically Early Access games. Example Life Of Black Tiger the game is a joke and yet Sony have allowed it on the PS4 going for $10 (£6). MS thought that it would shift consoles because of the massive hype PUBG made on pc, so as always MS pay with craploads of cash to make it exclusive because they don't have anything going for the X1 at that time. The game launched poorly coded for the system and its destoryed it's self from the inside because of its Devs. It backfired for MS as I don't think it did sell any consoles at all. Too litle too late I think, between the free to play fortnite and $60 call of duty blop 4 really polished battle royale, I don't think pubg will have a chance. Pubg corp should've concentrate porting the game asap on ps4 and xbox rather than take microsoft money and make it 1 year exclusive on xbox. @Nakatomi_Uk Sony doesn't allow early access games on psn. Life of black tiger is a bad game but not in early access. With Blackout, Battlefield 5, and Fortnite still kicking I think it's too late for them to really make a dent. I think the pubg craze has died down considerably and I honestly don't think this'll get it back. Wish them luck though! I'm interested to see if there's any extra and improvement in the final PS4 version. It shouldnt be expensive either to be fair with the one year delay. Whats the point guys. The boat is well and truly missed. Dwindling numbers on other platforms, and an established playerbase on fortnite, and soon blops 4, means there really isnt going to be space for this. Particularly as many were affronted by the timed exclusivity deal so wont pick up out of principle. This is not the type of game that lends itself to timed exclusivity. When this came out it could have been huge, but they needed to establish the support of a strong player base before the imitators swooped in. Alienating 70% of your market was a poor business decision. And sueing your nearest competitors rather than getting your release to the best place it could be seems a little short sighted. @MaccaMUFC @wiiware Sony does allow early access games just not that many funny enough one of the the early access games they do allow is Fortnite! @Rob_230 “Particularly as many were affronted by the timed exclusivity deal so wont pick up out of principle.” Crash N Sane Trilogy still sold well on other platforms despite being exclusive to PS4 for a year... but then Crash is one of those games that would sell regardless. @Ichiban Have played it since patch 1.0? It plays much much better now. @Spanky I highly doubt Bluehole will make it free to play, at least not anytime soon anyway. Imagine how upset Xbox players would be if they did? I’d be wanting a refund if that happened. It’ll release for £24.99/$29.99 but the best thing for them to do is have a trial/demo for it, at least that way people can try it out and may like it enough to buy it because a lot of people are probably just going to not even look twice at it. tbh the tomb raider timed exclusivity would have worked way better if they went with the platform with the biggest numbers (ps4). 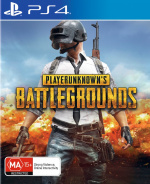 same could be said if pubg went with ps4 aswell altough it's not that this game would ever be missed if it never came out on ps4 anyway if the quality is anything to go by. so in other words timed exclusivity works if you pick a platform with a big install base and deliver a good product. @jdv95 Yeah I think Crash is a great example. It was a timed exclusive but it totally made sense, sold great, and then did brilliantly when it launched on the other platforms too. That's an example of a timed exclusive not being hindered at all. Although highly unlikely, I think if it was Decembers PS plus game it would possibly repair some damage. @get2sammyb I wonder how Nier Automata fared I dont remember hearing if it sold well on Xbox or not. @bindiana Thats weird, maybe pubg early access is in such a bad shape that user can lose their save game or something? It will have to run better on the ps4. It is so bad on the xbox x that they are having to downgrade the graphics to up the frame rate. If they could get it to run well i might give it a go.